An mvpl file extension is related to the Microsoft Visual Programming Language and used for its project files. What is mvpl file? How to open mvpl files? The mvpl file extension is associated with the Microsoft Visual Programming Language, an application development environment designed on a graphical dataflow-based programming model available ofr Microsoft Windows. The mvpl file stores programming project created in the Microsoft Visual Programming Language. This mvpl file type entry was marked as obsolete and no longer supported file format. 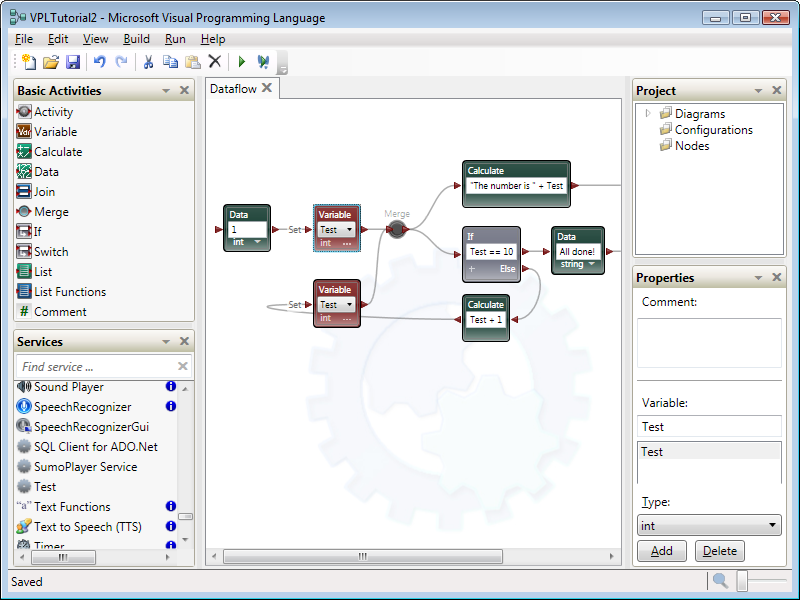 Microsoft Visual Programming Language is development tool designed on a graphical dataflow-based programming model. Rather than series of imperative commands sequentially executed, a dataflow program is more like a series of workers on an assembly line, who do their assigned task as the materials arrive. As a result VPL is well suited to programming a variety of concurrent or distributed processing scenarios. Use Microsoft Visual Programming Language to open *.mvpl files. and possible program actions that can be done with the file: like open mvpl file, edit mvpl file, convert mvpl file, view mvpl file, play mvpl file etc. (if exist software for corresponding action in File-Extensions.org's database). Click on the tab below to simply browse between the application actions, to quickly get a list of recommended software, which is able to perform the specified software action, such as opening, editing or converting mvpl files. Programs supporting the exension mvpl on the main platforms Windows, Mac, Linux or mobile. Click on the link to get more information about Microsoft Visual Programming Language for open mvpl file action. Programs supporting the exension mvpl on the main platforms Windows, Mac, Linux or mobile. Click on the link to get more information about Microsoft Visual Programming Language for edit mvpl file action. Programs supporting the exension mvpl on the main platforms Windows, Mac, Linux or mobile. Click on the link to get more information about Microsoft Visual Programming Language for create mvpl file action.